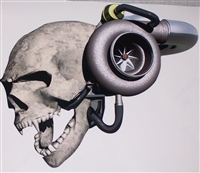 Turbo Skull Window/Trailer Graphic Decal great for windows, trailers, hoods, walls and much more. RV motorhome Trailer or wall Graphic and fit on any Semi Truck Motorhome/RV or Trailer These are a super easy way to make your Motorhome, truck, Boat or Trailer standout from the rest!! All of our decals and graphics are made with top grade Cast Automotive vinyls! The latest state of the art Eco solvent printer is used in the printing process for this Vinyl Wrap. The material, made from air-release liner Mactec inkjet vinyls, allows for easy removal of trapped air bubbles. *The adhesive on this vinyl allows for re-position of the vinyl for a smooth application process. *This vinyl features a smooth, ultra-glossy surface to produce life-like graphics. The 2.5 mil wrap film also lasts 7 years! For the sake of user-friendliness, our choice of vinyl is 2.5 mil. Cast Vinyl. The method of application is very simple and any mistakes are easy to fix. It uses Rapid Air Technology, allowing for easy removal of any trapped air bubbles. In addition, graphics are covered with an application mask, simplifying the installation process. Our graphics are suited for installation by non-professionals. This item ships with complete super easy and to use Installation instructions! Great for RV's Campers, Motorhomes and Boats American Flag Solder of War Mural Size 15" X 21" great for walls, Motor homes, tailgates and much more. Skull Confederate Rebel Flag RV / Motorhome Trailer Tailgate or wall Mural FULL COLOR Graphic ! 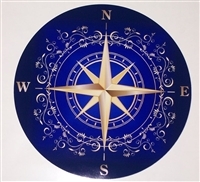 Decal is 13" tall and 20" long and fit on any Semi Truck Motorhome/RV, Trailer or even your home or office wall! These are a super easy way to make your Motorhome, truck, Boat, Trailer or any wall standout from the rest!! All of our decals and graphics are made with top grade Cast vinyls! The latest state of the art Eco solvent printer is used in the printing process for this Vinyl Wrap. The material, made from air-release liner 3M inkjet vinyls, allows for easy removal of trapped air bubbles. *The adhesive on this vinyl allows for re-position of the vinyl for a smooth application process. *This vinyl features a smooth, ultra-glossy surface to produce life-like graphics. The 2.5 mil wrap film also lasts 7 years! For the sake of user-friendliness, our choice of vinyl is 2.5 mil. Cast Vinyl. The method of application is very simple and any mistakes are easy to fix. It uses Rapid Air Technology, allowing for easy removal of any trapped air bubbles. In addition, graphics are covered with an application mask, simplifying the installation process. Our graphics are suited for installation by non-professionals. Trailer standout from the rest!! Mactec inkjet vinyls, allows for easy removal of trapped air bubbles. graphics. The 2.5 mil wrap film also lasts 7 years! Ford logo Confederate Rebel Flag RV / Motorhome Trailer Tailgate or wall Mural FULL COLOR Graphic ! 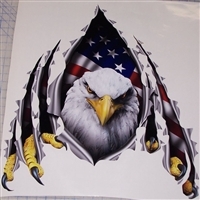 Decal is 17" tall and 18" long and fit on any Semi Truck Motorhome/RV, Trailer or even your home or office wall! Fishing Fish #1 RV motorhome Trailer or wall Graphic Decal 20" tall and 25" Wide and fit on any Semi Truck Motorhome/RV or Trailer These are a super easy way to make your Motorhome, truck, Boat or Trailer standout from the rest!! All of our decals and graphics are made with top grade Cast Automotive vinyls! The latest state of the art Eco solvent printer is used in the printing process for this Vinyl Wrap. The material, made from air-release liner Mactec inkjet vinyls, allows for easy removal of trapped air bubbles. *The adhesive on this vinyl allows for re-position of the vinyl for a smooth application process. *This vinyl features a smooth, ultra-glossy surface to produce life-like graphics. The 2.5 mil wrap film also lasts 7 years! For the sake of user-friendliness, our choice of vinyl is 2.5 mil. Cast Vinyl. The method of application is very simple and any mistakes are easy to fix. It uses Rapid Air Technology, allowing for easy removal of any trapped air bubbles. In addition, graphics are covered with an application mask, simplifying the installation process. Our graphics are suited for installation by non-professionals. This item ships with complete super easy and to use Installation instructions! 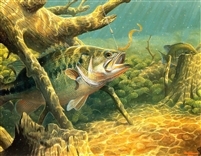 Fishing Fish #2 RV motorhome Trailer or wall Graphic Decal 20" tall and 25" Wide and fit on any Semi Truck Motorhome/RV or Trailer These are a super easy way to make your Motorhome, truck, Boat or Trailer standout from the rest!! All of our decals and graphics are made with top grade Cast Automotive vinyls! The latest state of the art Eco solvent printer is used in the printing process for this Vinyl Wrap. The material, made from air-release liner Mactec inkjet vinyls, allows for easy removal of trapped air bubbles. *The adhesive on this vinyl allows for re-position of the vinyl for a smooth application process. *This vinyl features a smooth, ultra-glossy surface to produce life-like graphics. The 2.5 mil wrap film also lasts 7 years! For the sake of user-friendliness, our choice of vinyl is 2.5 mil. Cast Vinyl. The method of application is very simple and any mistakes are easy to fix. It uses Rapid Air Technology, allowing for easy removal of any trapped air bubbles. In addition, graphics are covered with an application mask, simplifying the installation process. Our graphics are suited for installation by non-professionals. This item ships with complete super easy and to use Installation instructions! 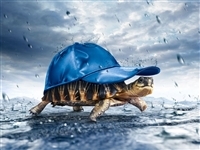 Turtle Tortoise Hat In the rain RV motorhome Trailer or wall Graphic Decal 20" tall and 27" Wide and fit on any Semi Truck Motorhome/RV or Trailer These are a super easy way to make your Motorhome, truck, Boat or Trailer standout from the rest!! All of our decals and graphics are made with top grade Cast Automotive vinyls! The latest state of the art Eco solvent printer is used in the printing process for this Vinyl Wrap. The material, made from air-release liner Mactec inkjet vinyls, allows for easy removal of trapped air bubbles. *The adhesive on this vinyl allows for re-position of the vinyl for a smooth application process. *This vinyl features a smooth, ultra-glossy surface to produce life-like graphics. The 2.5 mil wrap film also lasts 7 years! For the sake of user-friendliness, our choice of vinyl is 2.5 mil. Cast Vinyl. The method of application is very simple and any mistakes are easy to fix. It uses Rapid Air Technology, allowing for easy removal of any trapped air bubbles. In addition, graphics are covered with an application mask, simplifying the installation process. Our graphics are suited for installation by non-professionals. This item ships with complete super easy and to use Installation instructions! 2014-2015 Red Corvette Stingray Wall/Trailer Graphic Decal great for trailers, walls, RVs and much more. Nissan GT-R Silver Wall/Trailer Graphic Decal great for trailers, walls, RVs and much more.